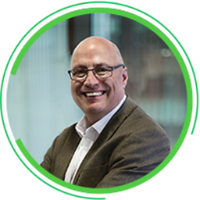 Bio: Customer experience consultant and advisor Adrian Swinscoe guides customer-focused large and small businesses on engaging with their customers, building retention, and improving service and the customer experience. For 20 years, he has used research, stories, and human insights to help companies like Shell, FT, and the Economist Group. Check out his popular Forbes column or his best-selling book, How to Wow: 68 Effortless Ways to Make Every Customer Experience Amazing. Bio: Anna Potajallo has been Global Net Promoter System Manager at Oriflame, a Swedish beauty company, since 2015. She is responsible for implementing the international NPS program in all 54 Oriflame markets globally. Working closely with different functions in order to deliver the best experience to Oriflame consultants, she has developed a Voice of the Customer strategy to promote Oriflame as the listening and learning company. Previously Anna worked in ING Insurance Poland, where she successfully drove a local customer experience program which redesigned the claims process and significantly increased customer satisfaction. Bio: David Reile is manager of data innovation at Satmetrix, responsible for overall strategy and product development for the company’s Academy & Research business. 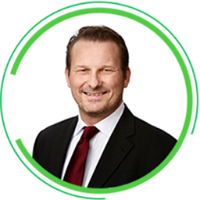 Previously, David worked for CEB, where he was a thought partner and trusted advisor to CFOs, CAOs, and FP&A leaders on key management challenges. 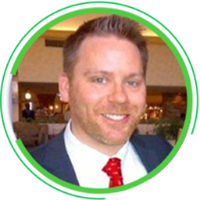 He is a self-professed “problem solver” and he has nearly 10 years of experience helping clients implement best practice solutions that deliver tangible business benefits. 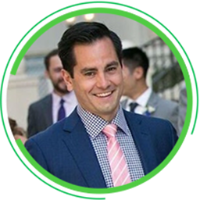 David is currently pursuing his MBA at UC Berkeley’s Haas School of Business and he holds a BA in economics from the University of Michigan. He works out of the Satmetrix San Mateo office and enjoys exploring Bay Area running trails in his free time. 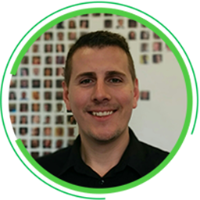 Bio: Jason started at Travelport in 2009, as director of commerce portfolio, responsible for all Travelport’s point of sale (PoS) applications including desktop applications, e-commerce services, and corporate solutions. Jason role’s was increased to lead and expand Travelport’s product innovation unit while maintaining overall responsibility for the PoS portfolio. 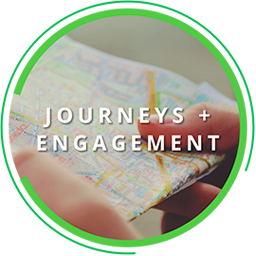 For the past two years he has led global marketing and incubation teams, and in January 2017 Jason embarked on an exciting new chapter as Chief Storyteller for Travelport, crafting evangelizing, and rolling out a modern relevant story at scale across the business. He’s an accomplished presenter of seminars and conference sessions. Bio: As the global leader of PA Consulting’s Customer Strategy & Loyalty proposition, Jesper Krogh Jørgensen focuses on design and global roll-out of customer loyalty strategies and NPS solutions. He has more than 25 years of experience as a management consultant within the field of measuring and developing customer loyalty. He has experience from both B2B and B2C within all industry sectors. As a director in PA’s Copenhagen office, Jesper delivers engagements focused on design and deployment of customer experience strategies, commercial excellence and digital transformation. Bio: Jesper is part of the Netsurvey Customer loyalty services team, creating solutions for clients with a focus on customer and employee loyalty worldwide. Jesper supports clients by creating solutions with customer and employee surveys processes linked to results for improved business performance. For 15 years, Jesper has built experience and knowledge related to employee and customer surveys supporting customer Net Promoter® program teams with guidance and advice. Jesper is a Net Promoter® Certified. Bio: Joseph Jaffe is Founder and CEO of Evol8tion, LLC, an innovation consultancy that helps corporations with digital innovation and transformation. Evol8tion’s clients include Nestle, Purina, Mondelez International, Colgate Palmolive and Steelcase. His most recent book is Z.E.R.O. - Zero Paid Media as the New Marketing Model; his writing has appeared in publications like the New York Times, Business Week, and USA Today. Bio: Kenfield Griffith is the CEO and Co-Founder of mSurvey, a mobile survey technology company that enables scalable conversations to improve the relationship between businesses and their customers. 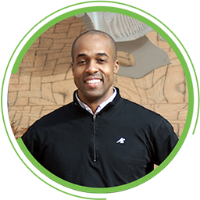 While earning his Ph.D. at MIT, Kenfield used case studies from Africa and Latin America to develop the technology that later became the basis for mSurvey. Now its products are used by a range of businesses across emerging markets, from Safaricom, the creators of M-PESA, to Java, the Starbucks of Africa. Bio: Marcia brings a strong background in strategic collaboration to her role as a Satmetrix business consultant. Over the past 6 1/2 years Marcia has guided customers as they develop and grow their customer experience programs. Her focus is on designing programs that uncover actionable insights from customer feedback, ultimately driving business improvements and financial growth. 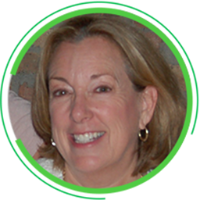 Previously, Marcia has worked for The McGraw Hill Companies and Dun & Bradstreet. Her experience includes sales, account management, marketing research, continuous process improvement, and customer advocacy. Marcia holds an M.B.A. in Marketing and Finance from Northwestern University’s Kellogg School of Management and a B.A. in Psychology from Marquette University. 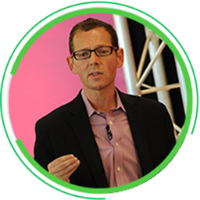 Bio: As Chief Marketing Officer at Misys, Martin is responsible for the global marketing organisation. 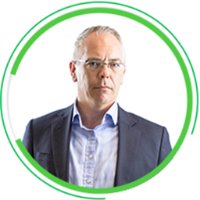 Martin joined Misys in October 2013 and brings more than 20 years' technology marketing and executive leadership experience with global market players to the company. 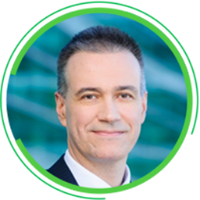 Martin came to Misys from Akamai Technologies Inc. where he was the vice president, marketing and channels, responsible for all marketing functions and channel sales divisions across EMEA. Prior to this he was the worldwide marketing vice president for Oracle's hardware line of business and the EMEA vice president marketing and part of the EMEA executive board for Sun Microsystems. He was also the head of the supervisory board of the Sun Germany legal entity. Bio: As the Client Insight Manager – Australia/New Zealand, Natalie Khoury develops strategies to help move Experian towards delivering exceptional customer service and positively impact their bottom line. 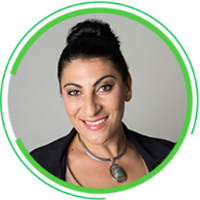 Having worked on Net Promoter programs for over six years, Natalie Khoury has a wealth of knowledge and expertise on client loyalty and is also a Net Promoter Certified Associate. With expertise on customer journey, transactional surveys, feedback loops, and engagement of all levels both internal and external, Natalie truly is passionate about customer loyalty, and changes the way customers perceive a business with outstanding results. 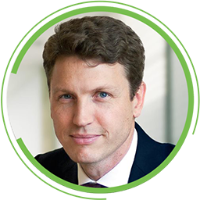 Bio: As one of three global leaders of McKinsey and Company’s customer experience service line, Nicolas Maechler focuses on large-scale customer experience transformations in multiple industries and regions, in both B2C and B2B. A partner based in McKinsey’s Paris office, Nicolas delivers engagements focused on innovative journey redesign, channel optimization, and digital transformation. Through his involvement in McKinsey’s research on measuring the customer experience, Nicolas co-wrote the firm’s compendium on creating value through the customer experience. 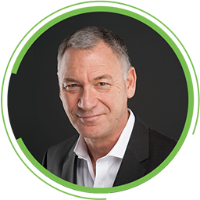 Bio: Richard Owen is President and CEO of Satmetrix, responsible for all aspects of strategy and day-to-day operations. Before Satmetrix, he was Chairman and CEO of NASDAQ-traded AvantGo, Inc., the leading provider of enterprise mobility solutions to Fortune 1000 companies. 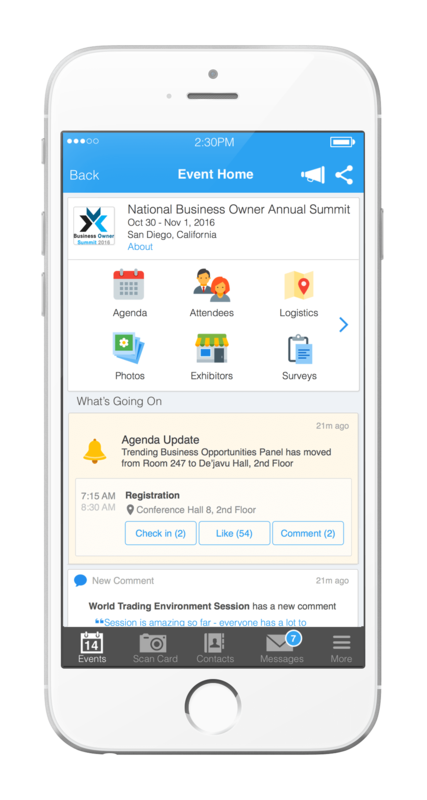 AvantGo was successfully sold to Sybase, Inc. Previously, his career included work in various executive positions at Dell Computer Corporation and as a consultant for KPMG Management Consultants, where his clients included HP and Apple. Bio: Stephen Hanson-Abbot joined Experian in 2009. His directive: drive engagement and improvement in client experience globally, with focus on the UK and Ireland and APac. He holds a BSc (Hons) from University of Newcastle Upon Tyne, has worked in client service, sales and engagement over the last 13 years and is a fully certified Net Promoter associate. Stephen has worked with Satmetrix over the last 4 years, using NPS to help Experian create successful client experiences globally. 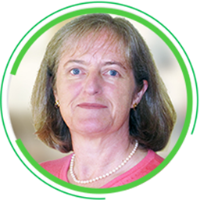 Bio: Catherine has over thirty years’ experience in customer operations and project management roles and sixteen in customer experience and loyalty programs. Before Satmetrix, she was a loyalty program manager within a global telecom company and has also worked with many large customers (B2B and B2C) providing best practice advice and design guidance as a senior program manager. She adapts those customer-centric experiences across all companies in a variety of industries. 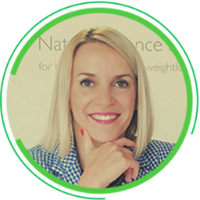 Catherine is a Net Promoter Certified Instructor, having contributed to the design of the course itself as well as many of Satmetrix’s consulting deliverables. She has an MBA from the University of Warwick (UK) and a BSC in Mathematical Studies. Bio: Charlotte is a customer experience specialist who combines strategic marketing and sales with a pragmatic operational approach. In 2013 she joined the Executive Committee of Sure, a mobile, fixed, and enterprise telecommunications supplier in Guernsey, Jersey, Isle of Man, and South Atlantic, part of the Batelco (Bahrain Telecom) Group of companies. There, she heads up the newly formed Customer Experience division encompassing customer strategy, communications and operations and subsequently in 2016 expanded her responsibilities to include both Consumer and Enterprise Sales. 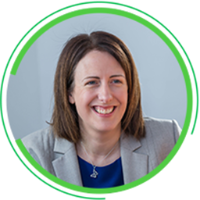 Charlotte is passionate about the customer and describes her role as “representing the customer on the board.” Previously Charlotte spent 11 years at Orange in product and customer experience roles and started her career at British Telecom. Bio: Jean-Christophe joined Bristol-Myers Squibb in June 2012. 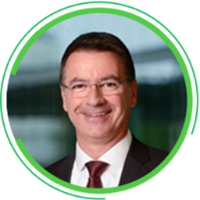 Previously, he was the managing director for France and the North Africa region at Nutricia Advanced Medical Nutrition, Danone. That role followed executive and leadership positions at SmithKline Beecham Pharmaceuticals (now GlaxcoSmithKline), with responsibilities spanning various regions and multiple countries. He qualified as a doctor of veterinary medicine from Lyon University in 1989 and holds a MBA in healthcare and biotechnology from Manchester Business School. Bio: Paul Marsden applies psychological techniques and design thinking to uncover positive innovation, customer experience and communication opportunities for brands, drawing on his experience as a chartered psychologist with WPP specializing in positive psychology, the psychology of well-being, and performance. He has a Ph.D. in social psychology and serves as a lecturer in consumer behavior at the London College of Fashion. His publications include Connected Marketing and The Social Commerce Handbook. 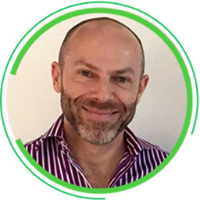 Bio: Paul Orovan is Senior Director of Customer Success at Satmetrix, based in our London office. He has 15 years of experience in the customer experience space, working as a data analyst, insights manager, business consultant and into his current role. His passion is continually building the business case for customer experience and demonstrating real economic outcomes from his clients’ programs. He holds an MBA from the University of London and a bachelor’s degree in economics from the University of Western Ontario. Bio: Peter is a specialist in information strategy, big data, and customer insight analytics. He has formed and led a high performing analytics team in an Analytics Centre of Excellence and worked with a wide range of organizations across Europe. Peter has worked with senior executives in preparing strategies and plans for the exploitation of big data and analytics as well as led governance and project offices of large scale analytics deployments in both traditional and digital environments. Bio: International speaker Rijn Vogellar is also the founder of The Superpromoter Academy. Fascinated by the Net Promoter Score® and its impact, he wrote The Superpromoter: The Power of Enthusiasm. When it became a bestseller, he quit his job as CEO of international market research agency Blauw Research to write and speak full time about enthusiasm. He’s at work on The Enthusiasm Trilogy; Flame, Flow, and Flood, exploring the dynamics of enthusiasm in and around organizations. Bio: Shaun Smith works to ensure that leaders and executives understand the benefits of a strategic focus on customer experience, broadening their attention from a narrower focus on customer service. 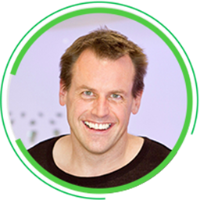 He founded Smith+co, the leading UK based customer experience consultancy, and has co-authored five acclaimed business books. Check out his most recent, On Purpose: Delivering a Branded Customer Experience People Love. He’s an accomplished speaker and a recipient of the Professional Speaking Award of Excellence.